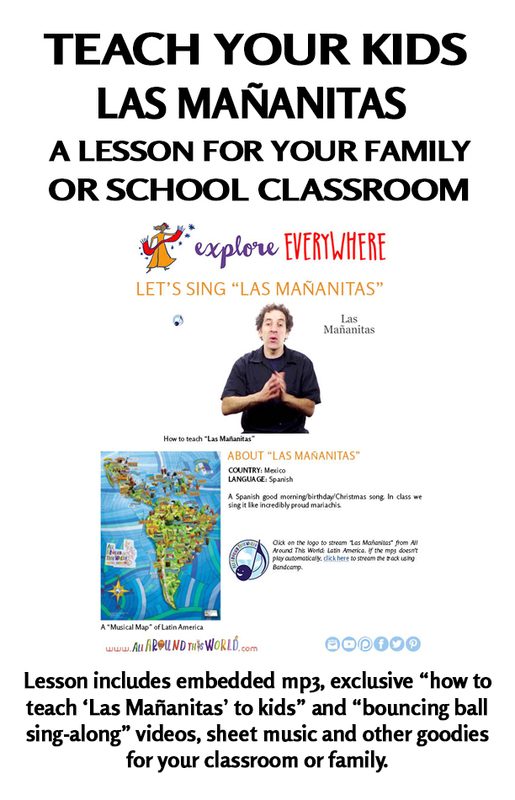 “Las Mañanitas” is a well-known Spanish birthday song, usually sung to honor the birthday boy or girl before eating the cake (though it’s also sung on Christmas as well, presumably as a birthday song for Jesus). When sung at a birthday party, the “mi bien” in the original Spanish lyrics gives way to the name of the object of the song–“Despierta Maria, despierta, mira que ya amaneció.” All Around This World presents version of this Spanish birthday song mariachi-style, which is not an uncommon way to perform it. The little birds are singing and the nighttime has gone.